After Congressional investigations in both the House and Senate have failed to produce evidence that Donald Trump and his campaign colluded with Russia to steal the 2016 US election from Hillary Clinton, The Hill‘s John Solomon points out the deafening silence over clear links between the Kremlin and the woman who would have been President had Donald Trump lost. Aside from the fact that the Clinton-funded Steele Dossier heavily relied on a Russian source. And the fact that John Podesta (who would have likely become Secretary of State) sat on the board of an energy company with a Kremlin official and a Russian oligarch – tangible evidence of Russian collusion exists, Solomon digs deeper into the upside-down to reveal Russian ties that would see Donald Trump jailed for treason by the left’s standards. In today’s episode of the Twilight Zone, Solomon spotlights Hillary Clinton’s close relationship with Russian leaders which raised concerns over a wholesale technology transfer to the Kremlin, right around the time of the Uranium One deal and Bill Clinton’s now-infamous trip to Russia (where he hung out at Putin’s house) and picked up a $500,000 check for one speech. The Clinton State Department ignored a 2013 warning from the US military’s leading European intelligence think tank over the Skolkovo project – which suggested that it could be a front for economic and military espionage. “Skolkovo is an ambitious enterprise, aiming to promote technology transfer generally, by inbound direct investment, and occasionally, through selected acquisitions. As such, Skolkovo is arguably an overt alternative to clandestine industrial espionage — with the additional distinction that it can achieve such a transfer on a much larger scale and more efficiently,” reads a 2013 EUCOM intelligence bulletin. The FBI followed EUCOM’s warning the following year with letters outlining the dangers of US tech companies falling prey to Russian espionage through the Skolkovo project. A Boston FBI agent in particular wrote an “extraordinary op-ed to publicize the alarm,” writes Solomon. The Skolkovo project “may be a means for the Russian government to access our nation’s sensitive or classified research development facilities and dual-use technologies with military and commercial application,” wrote Assistant Special Agent Lucia Ziobro in the Boston Business Journal. 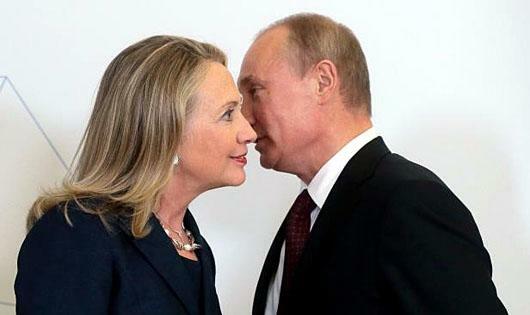 The FBI also sounded the alarm about the Uranium One deal – after an informant named William D. Campbell infiltrated the Russian state-owned energy giant Rosatom and gathered evidence of a racketeering scheme which included bribery, kickbacks and extortion. While it is now publicly known (and below the investigatory double-standards of the DOJ to pursue) that the Steele dossier was a clear case of Russian collusion against then-candidate Donald Trump, there lies a lesser-known link between the Steele Dossier and a Belarus-born Russian businessman, Sergei Milian. What’s more, “Steele and Simpson had Russian-tied business connections, too, while they formulated the dossier,” writes Solomon. And yet, nobody bats an eye.